The Climate DietBeating the Odds Now! 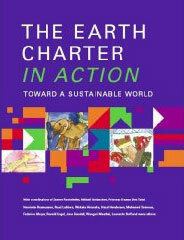 The Earth Charter is an inspiring declaration of shared ethical principles. It arises from diverse sources—the wisdom of indigenous peoples, international law, contemporary science, and philosophical and faith traditions.